June 2014. In 2013, the Duravit Group topped 380 million Euros in sales for the first time; exchange rate adjusted, sales increased by 4.1%, unadjusted by 0.6% compared with the previous year. The company achieved a profit growth after tax and generated an increase in the operative cash flow. Ceramic production grew by 4.3% and the factories in Egypt, India, China and Tunisia showed a similarly dynamic development. The balance sheet ratios have again improved. The equity ratio in the Group is now 47.7%. “In 2013, Duravit again experienced growth in important markets and thus reported a very good operating result”, explains Frank Richter, CEO of Duravit AG. The new products launched in 2013 were extremely well received by customers and sales partners. The DuraStyle complete bathroom series is becoming an international bestseller. The Happy D.2 series with its high design credentials also far exceeded expectations. The range of new products was rounded off by the re-launch of the X-Large universal bathroom furniture series, as well as by a number of toilets with rimless flushing technology. China, the USA, Tunisia, Turkey and the UK were amongst the largest growth regions within the Duravit Group. With 35 affiliated companies and a presence in more than 120 countries, the total international share of turnover was about 81%. 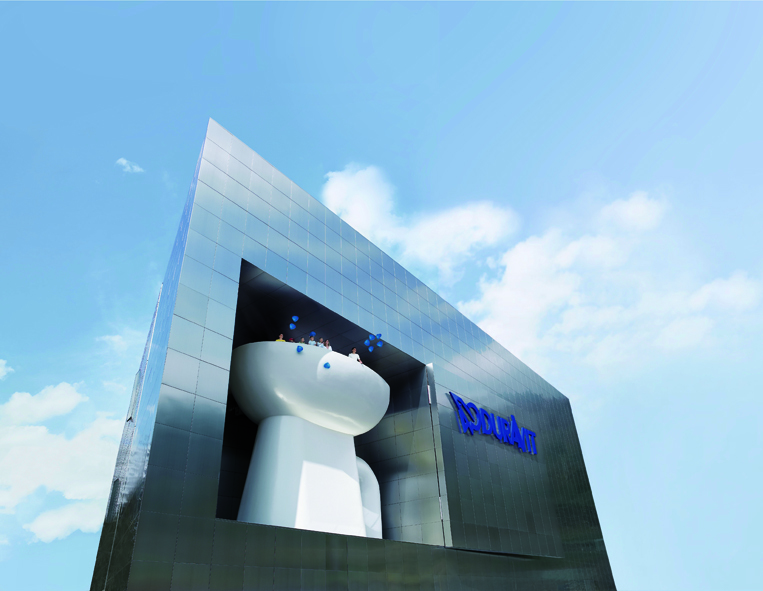 Duravit continued to grow in South America with a new sales company in São Paulo/Brazil. In Asia, and in China in particular, Duravit continued to maintain profitable growth. Duravit made its largest investment within Germany at its Meissen location. Amongst other things, it pressed ahead with the conversion of the Duravit Technology Center (DTC) that opened in March 2014. The DTC is currently the most modern of the company’s twelve training and presentation centres and will strengthen the Meissen location on a sustained basis. In 2013, the Duravit Group again maintained stable personnel resources with more than 5,700 employees, across mature markets and growth regions. 46 trainees and students from 20 different cooperative state universities were employed in Germany. At Duravit, a systematic environmental and energy-management system that is applied throughout the Group forms the basis for sustainable business activities and this is confirmed by important certifications, such as DIN ISO 14001 (environmental management) and 50001 (energy management). In general, the aim is to reduce the consumption of energy and raw materials, and also to cut emissions, on a permanent basis. To this end, international development teams are focussing on new manufacturing and product technologies, materials with improved properties, and on the potential energy savings that can be achieved by reducing the resource consumption of existing products.